Alpha Video released a white paper on Monday that provides an overview and analysis of competing IP protocols for television production. These protocols include AIMS, ASPEN, NewTek NDI, and Sony NMI. 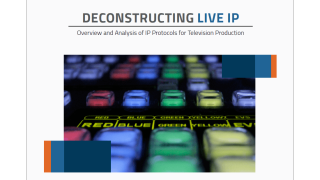 The white paper, entitled “Deconstructing Live IP,” is available as a free download.